Or $2.77 per contact lens (x6 per box). Or $2.55 per contact lens (x6 per box). 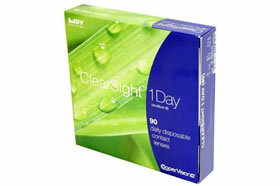 Or $3.02 per contact lens (x6 per box). Or $0.42 per contact lens (x90 per box). When cutting edge technology from a trusted name in the optical industry is desired many people turn to Biomedics contact lenses. From the Biomedics 1 Day contact lenses to Biomedics XC models, this name has long been a leader in the industry. 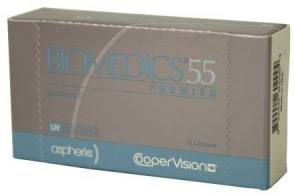 The Biomedics line was created by Ocular Sciences Inc., which started in 1983. It was purchased in 2005 by CooperVision, one of the world’s largest manufacturers of contact lenses. The merger was a coming together of two great leaders in the industry. This strategic move strengthened both companies’ eye care products with proprietary technology and manufacturing capabilities and further enhanced the range of eye care products that both offer consumers. Biomedics contact lenses are one of the brands that benefitted from the move. The extensive Biomedics contact lens line includes products designed to meet a number of specific needs. 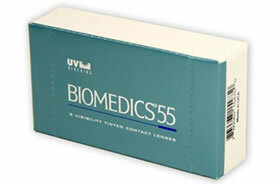 Biomedics 55 Premier is the latest product offering. It corrects the spherical aberration condition through an aspheric optical design that precisely focuses light as it travels from contact lens to eye. With this correction, visual images are clearer, crisper and sharper. Biomedics 55 contact lenses offer a number of benefits over other options. The Biomedics 55 Premier lenses, for example, can be safely worn for up to 2 weeks and their thinner edge design is extremely more comfortable on the eyes. Biomedics also produces a variety of other lens styles. 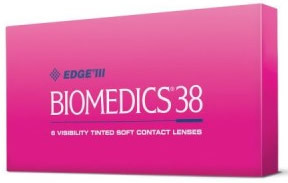 The company’s Biomedics 38 contact lenses deliver a lower water content for wearers who do not require and are not comfortable with moisture enhancers. 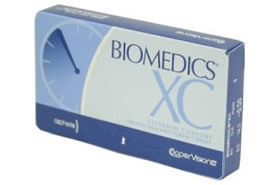 Biomedics XC is another 1-2 week disposable brand of contact lenses. Much like the Biomedics 55 Premier, it also sports an aspheric lens that provides more precise and crisp vision. It’s also made of 60% water content for a more comfortable feel all day long.